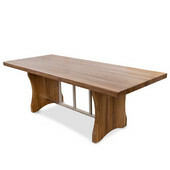 These Tables by John Boos are available in Maple and Walnut. 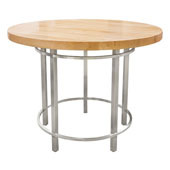 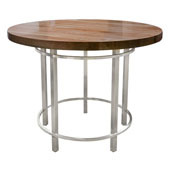 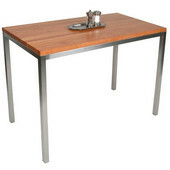 The wooden tables come in many different widths and are available in dining heights. 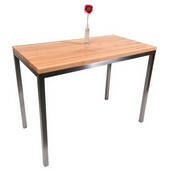 These dining tables have a varnique finish and feature stainless steel in the base.